I find the decision to self drive whilst on holiday is dependent on many factors. Starting with your own confidence as a driver, which side of the road is being driven on, the standard of the roads, the adherence to road rules, the types of hire cars on offer, the reliability of the hire cars in the destination, navigation options, the list could go on an on. When we were considering if we would drive in Vanuatu I wasn't able to access much of this information. There were only one or two websites that touched on it and it was difficult to make an informed decision. In the end we decided to give it a go and I was so glad we did. Now that I have been there and done that I can write the definitive guide on the topic so you too can decide if it is right for you. 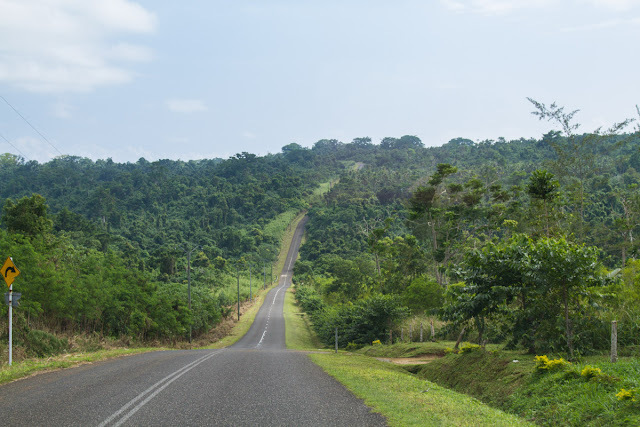 The roads in Vanuatu are in variable condition depending on where you are driving. In Port Vila, the main town centre on Efate they are tarmac and very pot-holed from overuse and lack of repair work. As we were there just after the rainy season sections of the roads were flooded from recent rain which meant there were diversions in place and on many occasions you had to drive through the flood waters (nothing too deep or dangerous). 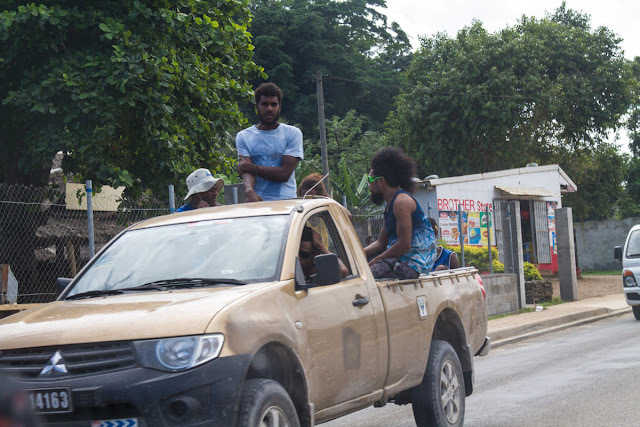 On the more used sections on the outskirts of Port Vila the roads were even more deteriorated, some sections were washed away completely by flooding and the pot holes were so numerous that you generally ended up in another pot hole trying to avoid the pot holes. Off the main road there are smaller dirt roads leading out to areas, such as the jetty to go to Hideaway, that are just a series of very large pot holes, often water filled so you could not see the depth. It was a little like riding the Indian Jones ride at Disneyland with the car being thrown up and down and side to side. Quite fun as long as you had an appropriate vehicle. On the far side of the island to Port Vila there is an impressive road that was built by the US owned mining company that was based over there. This road gets little use, it is 135kms all the way around Efate and apart from round island tour mini vans few tourists seem to venture out this far and few locals own their own cars. Overall it is a mixed bag of roads ranging from barely driveable to flooded to excellent roads with no cars on them. So what does this all mean? Well despite the fact that many of the car hire companies rent out standard sedans to tourists I would not recommend getting anything other than a 4WD. It doesn't need to be big, we got a Suzuki Jimny and it was perfect. You just want that extra ground clearance over a sedan to keep you out of trouble of the really rough sections. We did get a flat within the first few days, there was a screw in the tyre and the tyre iron didn't fit the wheel nuts but Europcar were there within 15 minutes to change the tyre for us and the repair cost on the original tyre was $8. 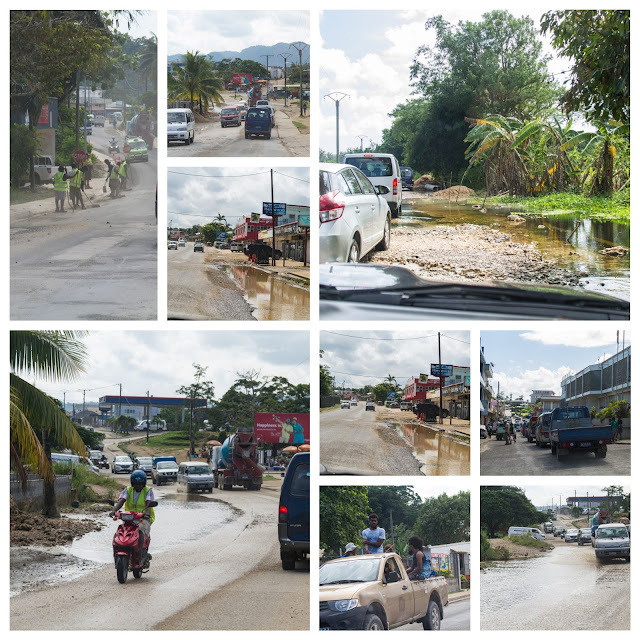 These pictures are the worst of the roads we encountered. They are close to town where they get the most use. On the flip side Vanuatu also had roads like this, long , straight, in very good condition and no cars for kilometers on end. This is on the less frequented side of the island. Adherence to road rules was minimal. Locals indicate with their arms out the window instead of with their indicators, sometimes pull out without warning and they rarely give way at intersections. We found there was a need to be proactive at times in pushing into intersections and roundabouts as the locals would rarely give way to let you in. That mixed with people walking on the roads and working in close proximity to the road meant you did have to be quite alert at all times. We never felt unsafe you just had to be aware that anyone at anytime could do something unpredictable. They do also drive on the right-hand side of the road (the other side of the road to us here in Australia) but it didn't take too much getting use to. We only found ourselves on the wrong side once or twice when there were no other cars on the road. For most of the world's drivers this is the correct side of the road so most people won't have an issue with it. There are quite a few car hire companies to choose from. Our first choice World Car Rentals was sold out of the Jimny we were after so we ended up with Europcar . The availability of 4WD's was limited and we booked very late. It is worth noting that the car hire across the board with all companies was not cheap. 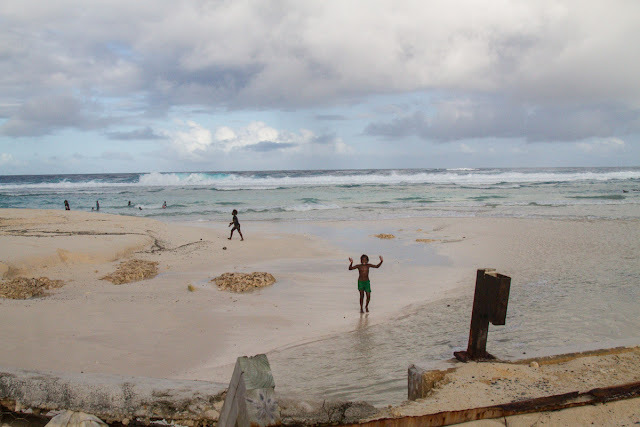 We ended up paying around $80 per day for the Jimny (that type of thing in the Cook Islands will set you back only $40-$50 a day). The larger 4WD's which were more readily available were between $100-$120 a day. Something else that was common practice with the car hire companies that I have not come across elsewhere is that they take a hefty bond against the vehicle that was charged to your credit card and only refunded once the car was returned. This was around $1400. It wasn't an issue as I always travel with a credit card with a decent limit for emergencies but I am sure it would catch a lot of people by surprise who may not have the spare funds available. Always ensure you have travel insurance to cover the excesses and if you do not be sure to reduce the excesses with the car hire company. This is the sort of place you could easily damage a car and you do not want to be lumped with a few thousand dollars excess. A lovely feature of car hire in Vanuatu is that they will deliver the car right to your resort, fill in the paperwork with you in the lobby and at the end of your hire you can leave the keys with reception at your resort and the car hire company will collect it even after you have flown out. At no point were we trying to get public transport to and from the depot. Overall the service provided by Europcar was excellent. As mentioned above they even came to our resort for free to change the tyre when we realised the tyre iron we had did not fit the wheel nuts. Could not have asked for more. The open road, that's what we all love about driving holidays and Vanuatu offers just that. Once you get away from Port Vila the roads improve and you are free to cruise around at your own leisure. 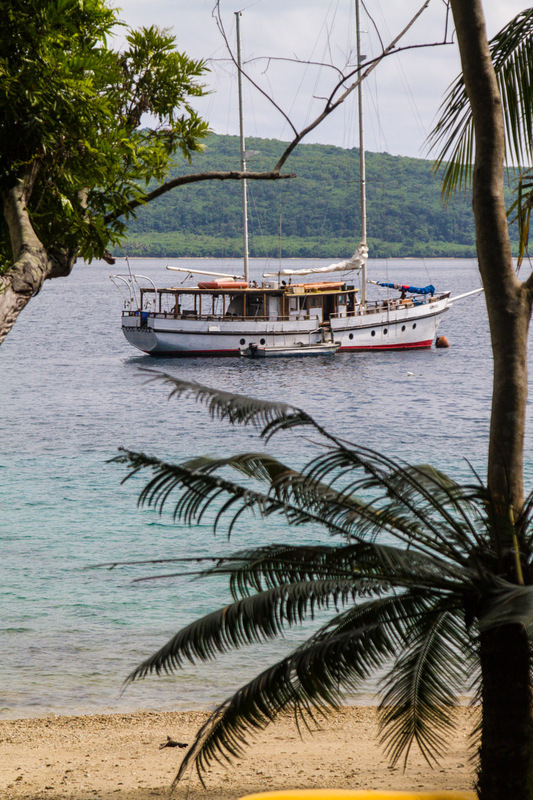 Efate has built up quite a bit for the tourist and with the car you car easily access all of the major sights. Although 135 kms around the island doesn't sound that far, on these types of roads it is a good half days journey. 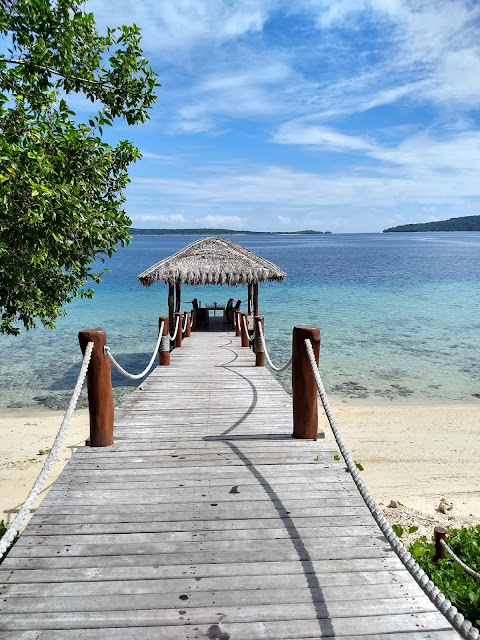 We had a week on Efate and organised our stay into visits to the major tourist spots as stand alone trips plus one full day round island journey stopping at any sights we wanted to see again. Take a look at the tourist map to get your bearings. If the water is flowing the cascades will be the highlight of your trip. Head out of Port Vila (leaving plenty of time to get through town as the traffic can crawl through here). Heading in this direction at the time of year we were there there were a number of spots the roads were covered in water but if you take it slow there is no problems. You will drive through Mele Village, the locals here are more used to tourists but still always have a friendly smile and wave for you. On the far side of Mele village just before you head up a steep hillside you will see on your left the carpark for the cascades. You can park in here for free. Be sure to take your reef shoes, towels and swimmers and head to the entry booth. The entrance fee was around $25 Australian dollars per person in 2017 but I am sure that figure will change. Although it sounds a lot the access a natural site, something that in many countries would be free you do need to appreciate that many natural features in Vanuatu are on private, generational land and being a very poor country the locals need to make a dollar from the tourists to survive. The money is well worth it too. The walk up to the top is a winding path that can be muddy and a little steep at times but not too strenuous if you take it slow. You are taken alongside the flow of the water with various cascades and swimming holes along the way. At the top you find the main waterfall which comes over the top of a cliff and down over rocks that form a number of separate pools. There are ropes to hold on to to get to the higher pools and with the water flow as strong as it was when we were there it was needed (although the locals bounded up there as if it was nothing). The water was refreshing but not freezing and you could get right under over-hanging rocks and have the water rush over you. On a practical note they have security positioned at the main swimming holes to watch your belongings as you swim, petty theft is always an issue in developing countries like this and it was nice to know your belongings were secure. Security knocks off at 4pm and they open the facilities to the locals. We got to the top around 3:30. Had the place to ourselves for half and hour which was nice and the local children came up the hillside from 4. It was a good time to go as you could see the children enjoying the falls. The Blue Lagoon swimming hole doesn't need too much explanation, it is a beautiful blue water swimming hole and it is reached if you head out of Port Vila the other direction to the Mele Cascades. 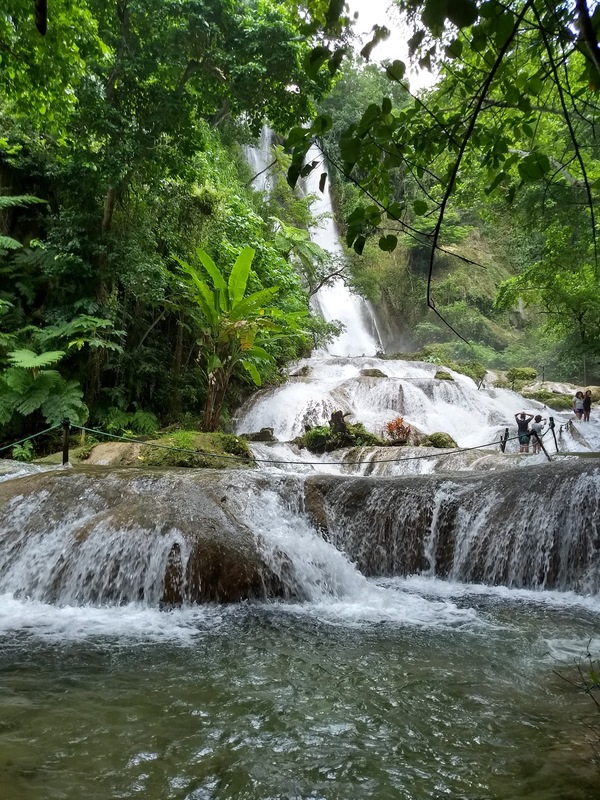 It is worth doing on a separate day to the Cascades and with all main tourist sites on Efate it is worth finding out which days there are cruise ships in port and avoiding these places on those days. On ship days the Blue Lagoon is flooded with day trippers coming off the cruise ships and many might feel it ruins the experience. We found these sites quieter in the morning or late afternoon and if you have a car you have the freedom to pick and choose when you go and are not locked in to when the round island tours visit. As you drive around the island you will see a huge variation in swimming options. Some of the beaches are very rugged and would not be suited to many swimmers. You also have Erakor Lagoon which is very flat, inlet type waters and around near Havannah port you will find some great snorkeling spots if you go looking. These waters are protected by nearby islands and there are marine reserves with fantastic snorkeling. On a sunny day, sitting out here in a local beach shack after a big snorkel with a beer in hand is pure magic. I would also recommend stopping in at a resort called The Havannah for a meal. They have a gorgeous open air restaurant under a massive thatched roof, the food is good and the views and vibe are magnificent. I had a very specific journey in mind for day three of our Vanuatu Holiday. It was the Seafood Platter at a resort called "Eratap". This is a resort I have been sending travellers to for years and have only heard good things. Eratap is located down a rough road a little beyond the Blue Lagoon. It was around a 40 minute trip each way from our resort "Breakas". All up I would say with the drive and the lunch we were out for around 3 hours so a good part of the day. You can read about the platter here . Visiting other resorts and their restaurants was another big advantage of having the car. Most other people staying at Breakas felt limited to the hotel restaurant and the cafe at Nasama just down the road and whilst we tended to eat at these two places at night as the roads were difficult to navigate (with all the potholes) in the dark, during the day we ate all over the island. I would also recommend stopping in at the Holiday Inn for a meal, the lagoon views from the restaurant are wonderful and some of the locally owned Beach shacks like Gideon's Landing and Le Life Resort are a unique experience that will take you out of the "western resort" scene. Getting a taste for village life in Vanuatu is a must. You can pull up any of the villages that are dotted around the island and have a wander through. Remember though people live here so don't be intrusive and ask permission for photos. You can also head out on a walk with a local. Breakas where we were staying do a free weekly walking tour of the nearby village of Pango. They will tell you about their village hierarchy and their local chiefs and you will see their crops and animals. 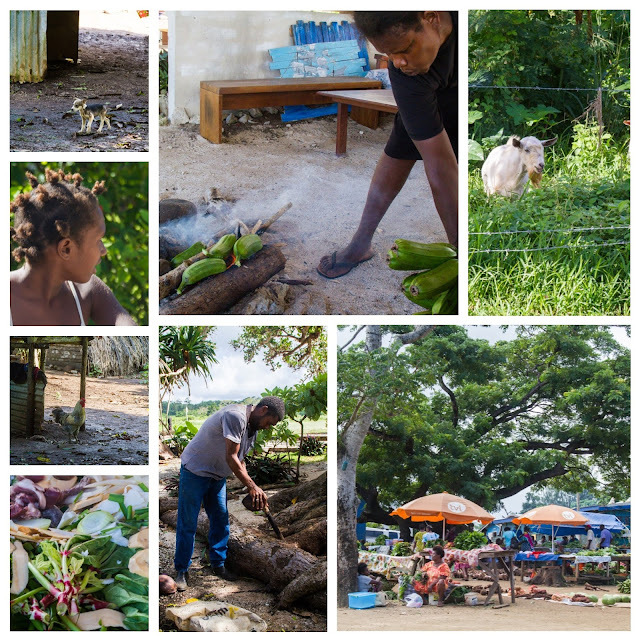 To get even more in depth we spent a day on an Urban Adventure harvesting food and cooking with a local family. You can read all about that here. You will hear people say that the local population, the Ni-Vanuatuans, are the friendliest people on the planet. I have been a lot of places and I must say this is true. As you drive around the island, roll down the windows, hang your arm out, prop it up in a permanent wave position because every local you will drive by (and it will be hundreds a day) will see you coming, have a big grin on their face and wave profusely. There is nothing fake or mocking about it, they are genuinely excited to see you. The further away from Port Vila we got the more enthusiastic the response was and in the furthest points they seemed genuinely surprised to see us. Overall having the car basically meant freedom. Freedom to roam, see whatever we wanted to see in whatever time frame we wanted to see it. We could seek out tourist sites in quieter periods, escape the more commercial resorts and interact with the locals on a different level than if you are with a large group of tourists. I would highly recommend it to anyone.